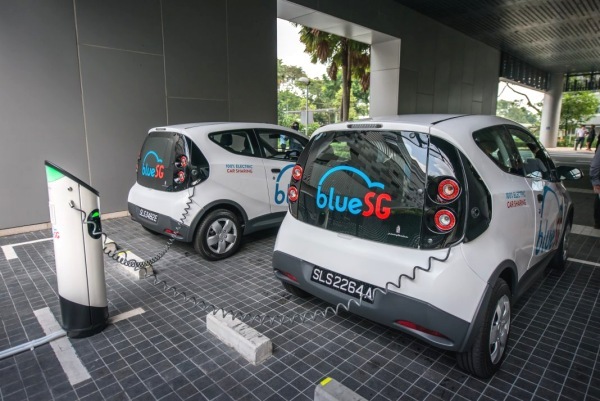 Singapore’s first electric car-sharing scheme BlueSG received more than 3,300 registered member sign-ups and 5,000 rentals within its first three weeks of operation. BlueSG launched on Dec 12 with 80 vehicles and 32 charging stations and aims to roll out a 1,000-strong electric vehicle fleet and 2,000 charging points by 2020. Rentals, which can be made via an app, are charged based on duration instead of distance. There are two subscription plans: a premium yearly membership plan priced at $15 a month and a weekly membership plan which does not require a recurring fee. The app can be downloaded from the App Store and Google Play. The company aims to have 1,000 electric vehicles in its sharing fleet and 2,000 charging points by 2020. This would make it the world’s second-biggest electric vehicle car-sharing program, after Paris which boasts more than 4,000 cars.